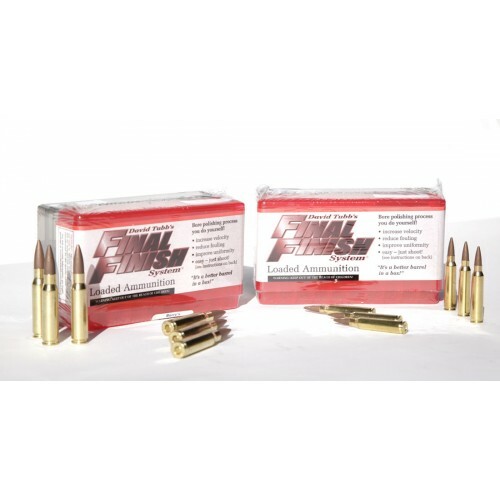 The best break-in, conditioning and maintenance system for your rifle's barrel is now available in a Loaded Ammunition Complete Care ProPack at a savings of more than $15.00 over the price of the two items if purchased separately. 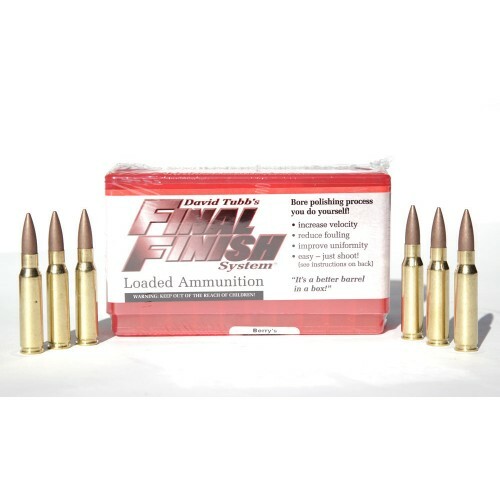 We have combined our FinalFinish Loaded Ammunition break-in kit, consisting of 20 lapping rounds, with a Throat Maintenance System (TMS) loaded ammo kit of 20 polishing bullets for periodic maintenance, in a Complete Care ProPack to save you money! These high-quality, custom-loaded rounds greatly simplify applying FinalFinish and TMS treatments to a firearm. This complete system allows you to properly break-in and maintain factory barrels with the convenience of loaded ammunition. This is especially handy for those who don't reload or who want a simple, convenient and extremely effective way to break-in new factory barrels. 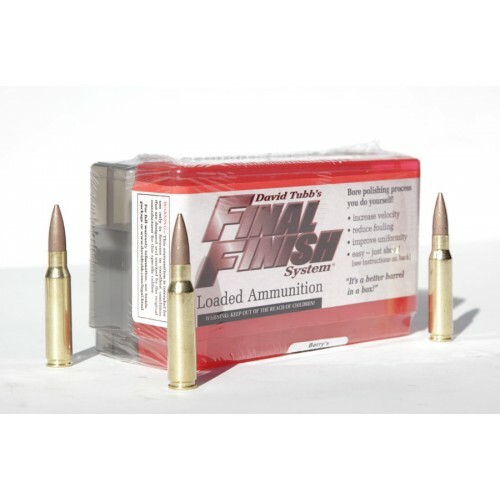 Our FinalFinish Loaded Ammo System provides about 75 percent of the effectiveness of our 50-bullet FinalFinish kit, but does so utilizing only 20 specially loaded cartridges. After thorough testing we determined the combination of Aluminum Oxide grits that results in the most efficient and effective bore conditioning treatment possible -- in the shortest time possible. 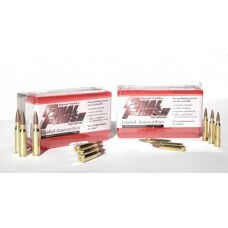 After shooting the 20 FinalFinish rounds, you shoot 10 to 20 of the TMS rounds to complete the lapping process, followed by 10 factory or Tubb Boron Nitride coated bullets (sold separately) to burnish the barrel and compete the break-in process. You then use any remaining TMS loaded ammo for a preventive maintenance routine. One or two rounds of TMS used every few hundred shots keeps the throat smoothed, which will prolong the accurate life of your barrel. Think of it like changing the oil in your car on a regular basis.